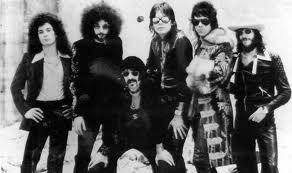 The J. Geils Band is an American rock band best known for their 1981 single, "Centerfold" which charted #1 in the U.S. in early 1982. The band played R&B-influenced blues-rock in the 1970s before moving towards a more pop-influenced sound in the 1980s. Since its initial break-up in 1985, the band has reunited several times.